I change my hair so often that unfortunately I have lost a lot of length due to it being damaged and having to cut off all of the split ends! 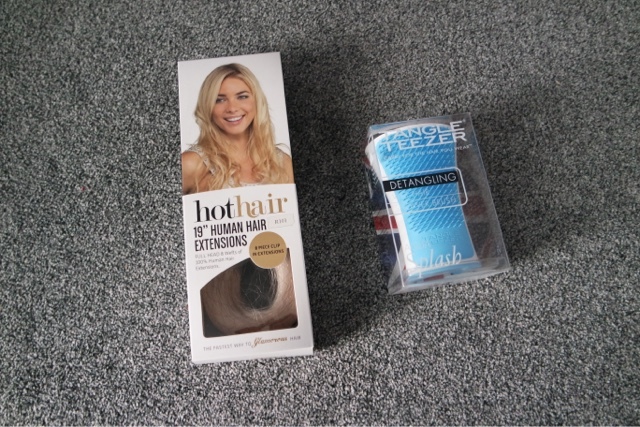 The only answer was to get my hands on some hair extensions! 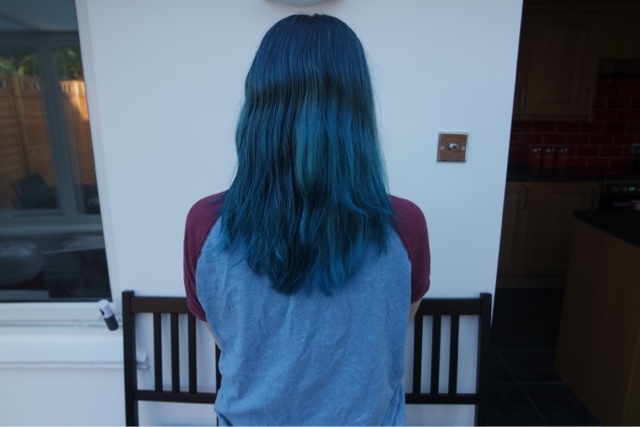 I have tried a wig from Hot Hair before, you can read my post here, but that was when I had a normal colour in my hair! 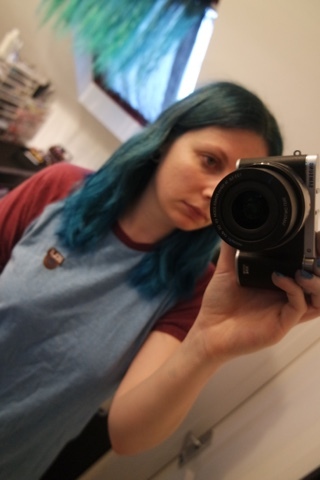 The problem with having un-naturally dyed hair is I would never be able to find the right colour match, but I decided to give it a go by dying them myself! The ones I ordered were the 8 piece 19 inch human hair clip ins, I went for the shade 101 pearl platinum as my own hair was bleached white/blonde before I dyed it. I also picked up a Tange Teezer wet hair shower brush to help brush them after I had washed the dye out. As you can see, you get loads of hair in the pack! I actually ended up only using 6 of the 8 pieces once dying them all. 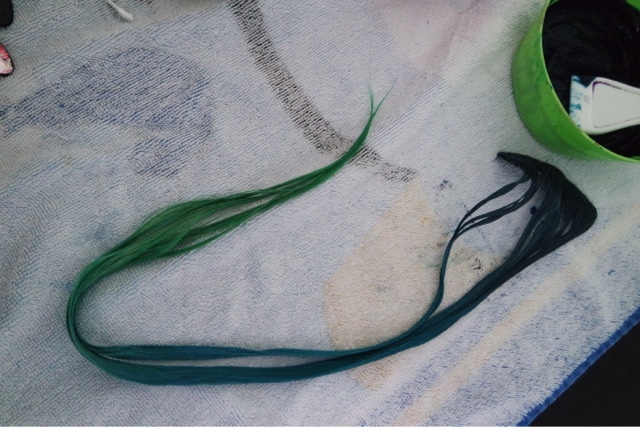 To dye them, I mixed up my dyes (the same as I would to dye my own hair), I used 3 different colours, a more navy for the roots, going into a blue turquoise and then green for the tips. As you can see I laid a towel on the bathroom floor as this can get messy! 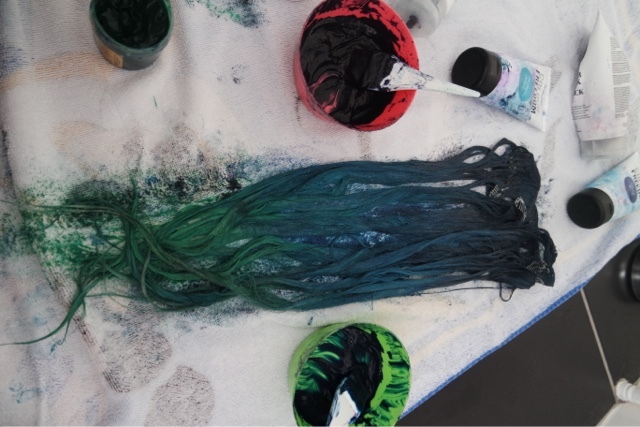 I dyed each piece one at a time, making sure it was fully saturated with dye. 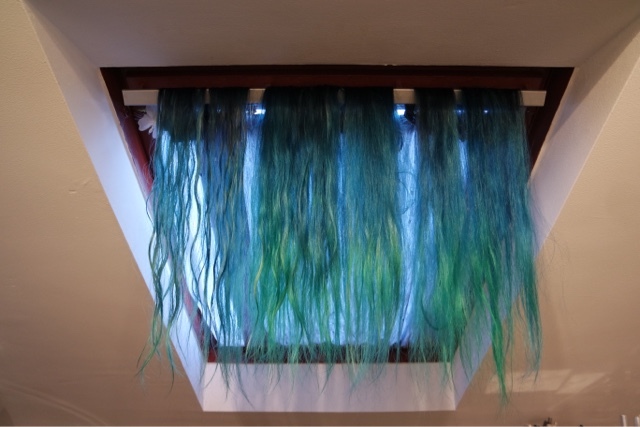 Once they were all done, I left them for 30 mins and then washed out the dye carefully, I then hung them up to dry after roughly blow drying them. As you can see they turned out so well! As the clips are light because the original hair was blonde, you can take a sharpie or similar permanent marker and draw over them to change the colour if you feel the need to. Look at the difference they make! 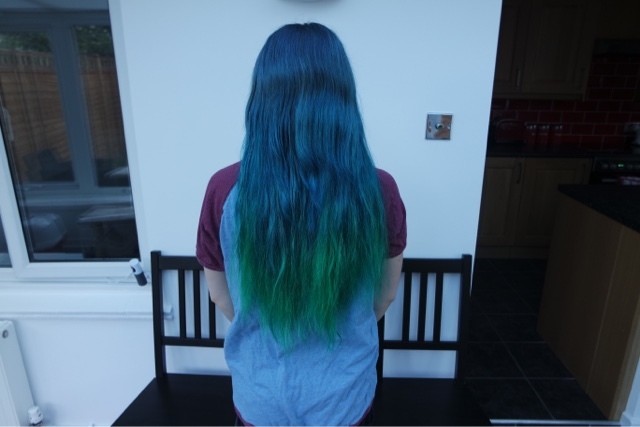 The colour match turned out so well and they blend in great. I am so impressed by how soft they feel too! 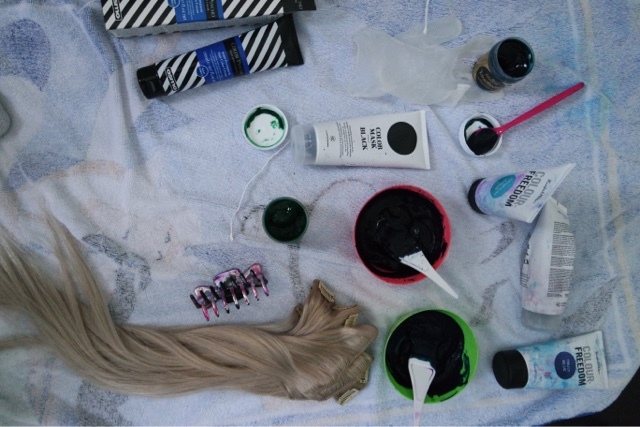 I think it is great being able to dye them as well so you can get the perfect colour match or use them to add another colour into your hair. You can see from the back how long they are! 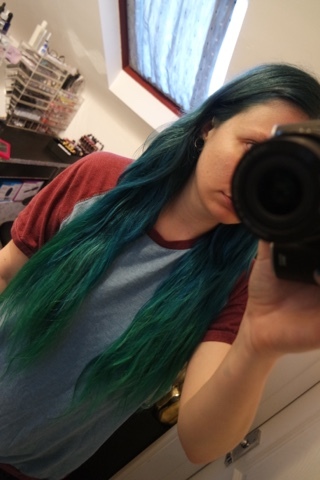 I have so many different shades of blue in my hair as you can see, but they match really well. Overall, I am so happy with these extensions. 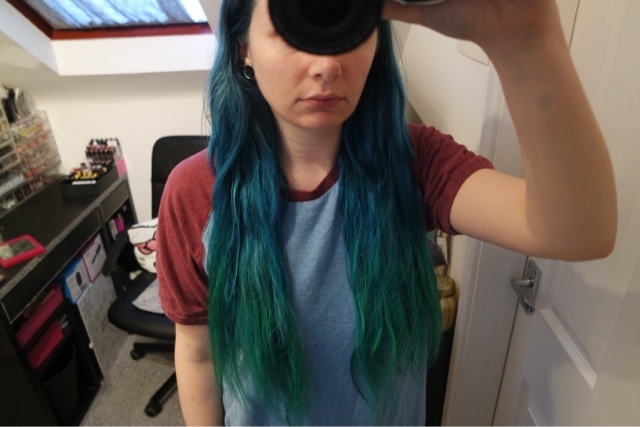 I plan on trimming them slightly and layering them into my hair for a more natural look as they are very long compared to my natural hair. 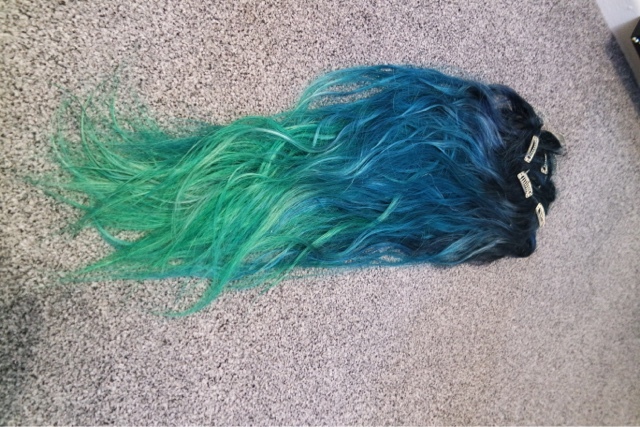 For a more permanent look you can buy tape online which you can attach to the hair to create tape in extensions rather than clip in. 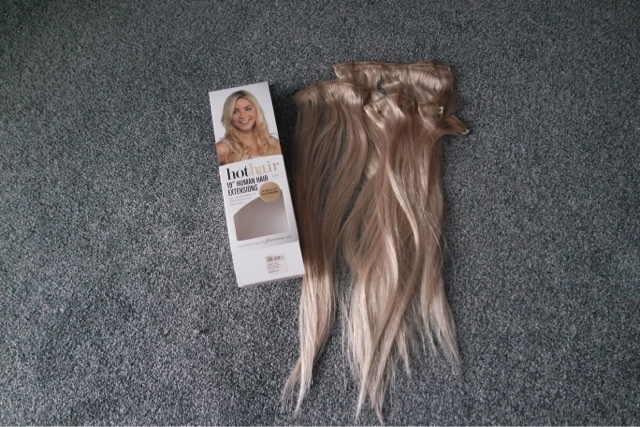 This is something I may look into because as easy as clip ins are, I would love to wear them all the time and it will also help the extensions fade colour at the same rate as my natural hair if they were washed as often.